"Luxury Business Hotel" is one of categories of the “World Luxury Hotel Awards” which is the pinnacle of achievement by a luxury hotel, offering recognition for gaining the respect of guests and industry players alike. Winners were determined based on votes of travellers, hotel guests, hospitality experts and general public during 4 weeks. Crowne Plaza® West Hanoi, an IHG® hotel, located in the business district of Hanoi, is only minutes away from the National Convention Center, National Stadium and 30 minutes away from Noi Bai International Airport. This 5-star Hotel & Residences complex boasts of 524 premium hotel & residence rooms as well as other multi-purposed restaurants and bars offer a wide range of international and local cuisines. The hotel also has an extensive relaxation zone in the 4th floor, inclusive of fitness, steam, sauna, jacuzzi, spa treatments, outdoor swimming pool, allowing guests to truly make the most of their stay. Crowne Plaza® West Hanoi has appointed Mr Barry Pitman as it new General Manager. The Australian hotelier brings with him 36 years of hospitality experience with a strong base in food and beverages. 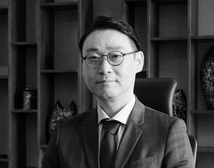 His previous roles include successful terms at international brands such as the InterContinental Hotels Group (IHG), Hilton, and Raffles throughout Asia Pacific, North Africa and the UK. Mr Pitman joined the IHG family in 2003 and spent nine years as General Manager of Crowne Plaza® Jakarta prior to his latest appointment. Crowne Plaza West Hanoi has named Mr Barun Jolly as its new General Manager. Barun grew up in India, where he accumulated a wealth of experience in hotel openings and operations at some of the most renowned hotel chains before moving to Indonesia in 2015, where he was appointed General Manager of Crowne Plaza Semarang. With 19 years of experience in the hospitality industry, his high-achieving profile has seen him named ‘General Manager of the Year - Upscale Business Hotels’ by Hospitality India in 2014 and ‘Most Enterprising General Manager of the Year - 2015’ at the World Travel Awards. Crowne Plaza West Hanoi has appointed Mr. Park Ryan as its new Director of Sales and Marketing. Ryan comes with a wealth of experience within the hospitality industry, having spent the last ten years at Lotte Hotels & Resorts, where he was instrumental in acquiring numerous large corporate accounts. He has now chosen Crowne Plaza West Hanoi in continuing his successful career.